Courtney Fearrington grew up in Washington, DC to a military mom (Navy) and militant father. By the time he was able to walk and talk he was already performing for his parents friends at every function possible. At an early age Courtney knew he wanted to be a professional comedian. As a teenager Courtney went to 4 different high schools in 4 years. This made him the "new kid" every year, and also gave him the opportunity to reinvent himself into whoever he wanted. For some reason he always chose the role of chubby outcast. After high school armed with an education from 4 different schools and a sense of humor strong enough to get him in and out of awkward situations Courtney felt being the new kid in college would be too hard. So he joined the United States Marine Corps. It was in the Marines that Courtney finally began to take his comedy from conversations and daily life to large groups of people. He began sneaking onstage during military briefings, formations, and classes to perform routines. It wasn't until early fall of 2005 that he decided to get up in front of a random group of strangers in a Washington, DC bar to see what happened next. He was instantly bitten, by comedy - not a crack head. It was all he needed to solidify that performing stand-up comedy was going to be part of life. Life's necessities then became air, water, comedy, food (in that order). Since starting comedy Courtney has already shown he has the ability to make any group of people laugh. His style of comedy is able to cross boundaries and touch on a variety of topics. Courtney has quickly become a fixture at comedy clubs and colleges across the nation because of his likable personality and quick wit. He has been featured beside some of comedies elite at clubs, bars, and even the prestigious John F. Kennedy Center. 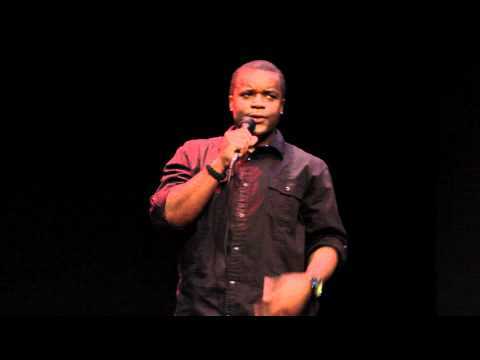 As a standup he has also been heard on syndicated radio, performed at the Bentzen Ball, and worked with comics from HBO, Showtime, MTV, Comedy Central, SNL, and many more.